There, I’ve said it out loud. There are times that, for various reasons, I read conversations and watch what is going on without visibly participating. Does that make me a bad person, or is my behaviour an entirely rational response to our busy modern world? Do I need to ‘fess up and join in, or is it socially acceptable nowadays for me to passively consume what others create? 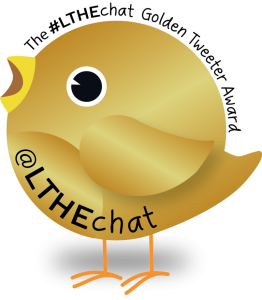 These, and other questions, were ones that I posed for a recent LTHEChat. Lurking gets a lot of bad press. Personally, as I said in the twitter chat, and as I’ve explained in more detail in a recent paper written with some friends, my preferred term is Legitimate Peripheral Participation – a phrase we take from Lave and Wenger. But I still use lurking as a shorthand for that phrase, as it doesn’t trip off the tongue easily! So what do you think? Is lurking a shady thing to do? I don’t think so. This entry was posted in Learning, MOOC, Online learning, Peer interaction, PhD, Teaching, University and tagged lurk. lurker, lurking. Bookmark the permalink. I entirely approve of reading the newspaper without immediately calling the editor or sending a letter. While social media streams are “more” than a newspaper, they serve me with information I find helpful many times, all without any interaction from me. In my current “home” at Mastodon.art, I DO occasionally click the star icon to “favorite” a post as a way to thank the individual for posting the information. It is less common for me to “boost” the post so that my own followers there will see the post I’ve marked. Even less often do I engage the author about their message. I might do that if I have a question about what they said. That “reply” is a great opportunity to enhance the “news” I get from the stream. Up to this point, I can still think of the experience as “lurking”. 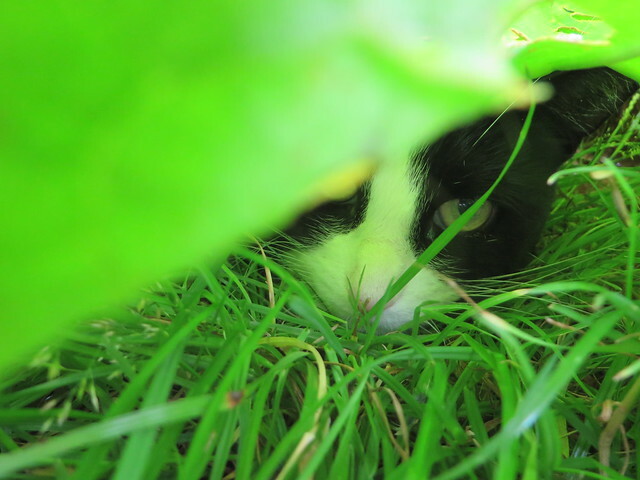 By contrast, adding my own posts is where “lurking” changes into something more. To add something to the stream means I need to have something to say. That isn’t always the case. When it is, I need to get up the gumption to be public about my “stuff”. Thank you, Algot. That seems to me to be right, and also in the spirit of Lave & Wenger. I agree that there’s nothing wrong with the kind of lurking you’re describing. The problem is with the word itself, which has that underhanded u in there to make it seem even more furtive and suspect. I suggest we make up a new word, to be pronounced with the upturned edges of a smile the way it looks: “See, I’m lerking!” whereby it loses the unfortunate undercurrents of its underwhelming cousin who merely “lurks.” Or we could even go so far as to add a perky p and say “We’re plerking!” Not so public or embarrassing as twerking, but still being supportive and encouraging to those who actually participate. Haha! Maybe. I heard some folk calling it lerning the other day. I do like plerking though! I am often struck dumb by how well the world works without my input. Ah, but you underestimate how much the world appreciates your input! Random thought about lurking and “stealing” — when I make and share something and someone lurns from it, I think of it as that unknown person enacting an act of kindness on my behalf. I not only don’t need to know, but perhaps it is better that I don’t, like when I give the barista a gift card from the coffee shop and tell them to use it on later customers until it runs out. How much of the frustration expressed about “lurkers” is driven by ego and a desire for validation…neither of which is helped at all by the reputation signaling foregrounded by social media services and apps. Another thought — how often is “lurking” a matter of perspective and incomplete information. I am more and more someone who would likely be considered a lurker in most of my former ed/edtech communities, but really I’m a lurner and a conduit to unseen communities not visible from the perspective of the lurker-labelers. Yes, definitely it’s a matter of perspective, isn’t it? I’ve got another post lurking in my head about this – and I like perspectivism in general. I like your analogy with the gift card.